ProBiota Sensitive Probiotic is a broad-spectrum, multispecies probiotic formulation providing 12 certified Lactobacillus and Bifidobacterium species with well-documented benefits for gastrointestinal and immune health. 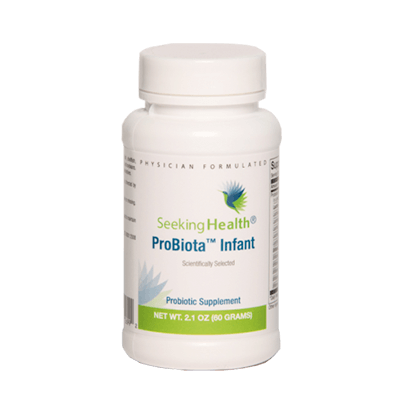 * This high-potency probiotic supplement delivers 25 billion colony forming units (CFUs) per capsule to help establish and maintain a balanced, healthy intestinal microflora. 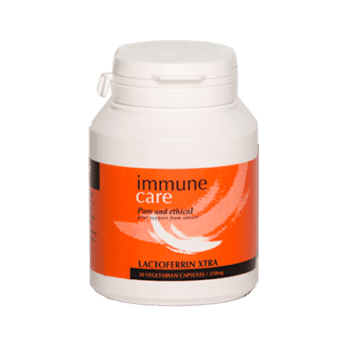 Immunecare Lactoferrin Xtra 90 capsules - 3 month supply - Save $44.90! 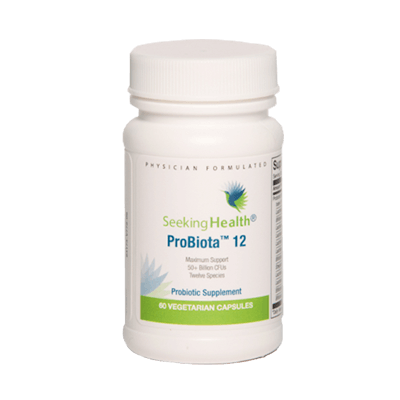 Probiota Sensitive probiotic contains 12 highly effective Lactobacillus and Bifidobacterium species chosen on the basis of their ability to survive passage through the gastrointestinal tract, antagonize pathogens, improve gastrointestinal function, and support against inflammatory conditions. Probiota Sensitive is a hypoallergenic product, free of all common allergens, colourings, flavourings, preservatives, and salicylates. 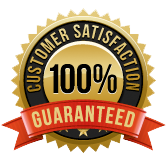 It is also formulated without inulin and thus suitable for persons who wish to limit or restrict their intake of specific carbohydrates. 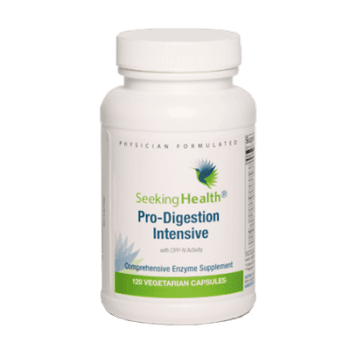 Pro-Digestion Intensive is physician-formulated broad spectrum digestive enzyme supplement that is especially designed to help individuals who have difficulty digesting gluten and casein or have food sensitivities. 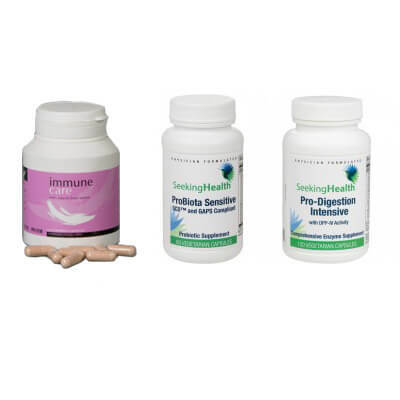 When these foods are incompletely broken down, that can lead to fermentation in the gut, and then bloating. 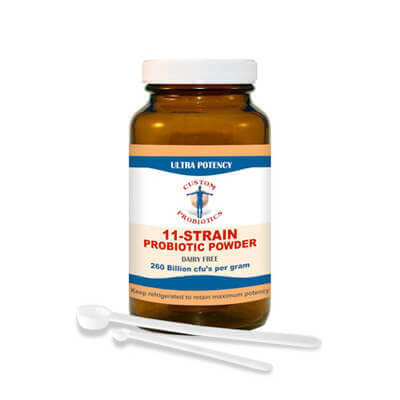 Pro-Digestion Intensive assists in the breakdown of proteins, fats, complex carbohydrates, sugars, and fibres and also contains ingredients that support a healthy intestinal system. 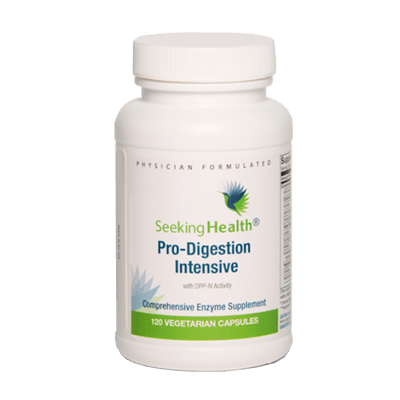 Because of the importance of your digestive health to your immune function, supplementing with digestive enzymes helps promote overall good health. 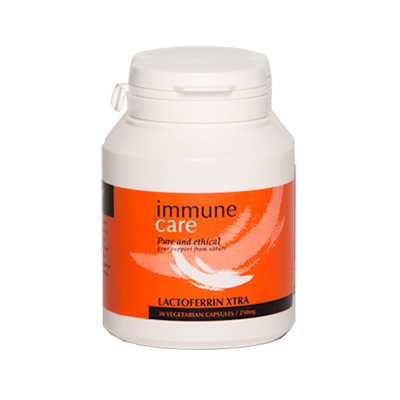 Lactoferrin Xtra is a potent and well tolerated natural antibacterial and anti fungal supplement. 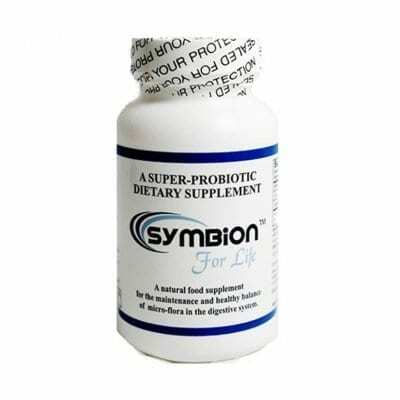 It helps to kill off bad bacteria and yeast organisms in the gut that may be producing gases that contribute to bloating, whilst at the same time supporting the growth of beneficial bacteria.